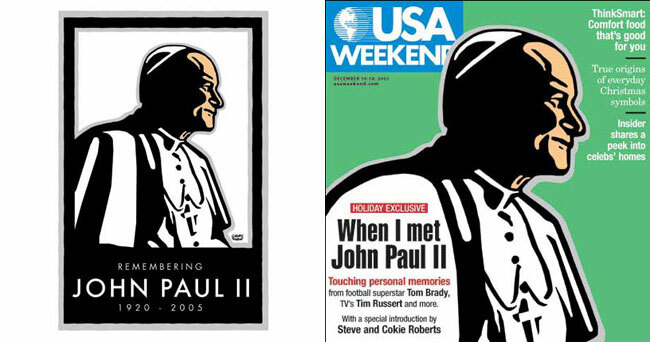 Left: Graphic portrait of Pope John Paul II. Right: Same portrait adapted for use by USA Weekend Magazine for a special Christmas issue, 2006. This graphic portrait was chosen for the juried annual show of the Illustrators Club of Virginia, Maryland and Washington, DC and won an American Graphic Design award from Graphic Design USA magazine.